If you’re having issues with your garage door, you’re not alone. Homeowners often experience the situation when their garage door won’t open. It is a common problem that we help solve on a daily basis. 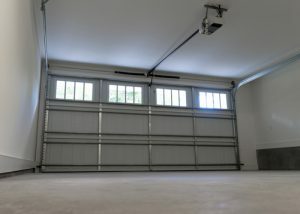 We compiled a list of the top reasons that prevent garage doors from opening and closing as normal. Safety eyes are not properly aligned. Of course in the beginning at the initial set up, the safety eyes should be in line with each other. Over time, life gets in the way of things and can push the eyes out of alignment. Weather conditions can cause dirt or leaves to get in the way, heavy doors can cause slight movement over time, cobwebs can get in the way if not cleaned off, items such as tools, toys, etc could be in the way and the list goes on. Emergency release cord could have been pulled down. All units operate differently and results will vary, but not all systems will reconnect automatically after being pulled. You may have to take action if the release cord was pulled down. We can help you diagnose the problem if you’re not comfortable solving after reading the manual. You could have a broken garage door spring. Broken garage door springs is an issue that almost everyone runs into at one point or another due to normal wear and tear. Whether you have extension or torsion springs, it’s important to check the balance and keep them lubricated to keep everything running smoothly. Remote batteries may need replacing. Sometimes the most obvious solution is not so obvious. Always be sure to double check if a set of new batteries in your remote does the trick to fix your garage door. Remote may need to be reprogrammed. Not all technology is perfect and sometimes your remote may need to be reprogrammed. To do this, you’ll have to refer to the manual for your specific model. If you need further assistance, don’t hesitate to give us a call. We are committed to always providing top notch garage door repairs. There is no job we can’t handle and we always make sure our customers are 100% satisfied before leaving their house. A garage door that doesn’t open and close smoothly can be extremely frustrating, we know how much our customers rely on their doors to be dependable. With our help, your door will be running like new. Please give us a call today and we look forward to working with you!